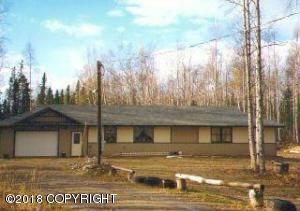 Description: Recently updated ranch on a full acre. Oversized garage converted to additional rooms. Laminate flooring through-out. Shed remains. Additional Features and Amenities Other: Access: Gravel, Additional: Dsl/Cable Available, Co Detector(s), Construction: Wood Frame, Den &/Or Office, Electric, Elem Schl: Big Lake, Extr Fin: Wood, Fire Service Area, Foundtn: Block, Fuel: Electric, Greenhouse, Heat: Forced Air, High Schl: Houston, Interior: Br/Ba On Main Level, Laminate Flooring, Landscaping, Lot-Corner, Maintained, Middle Schl: Houston, Oil, Parkside, Private Yard, Range/Oven, Refrigerator, Road Service Area, Roof: Asphalt/Comp Shingle, Rv Parking, Shed, Smoke Detector(s), Storage Space/Unit, Telephone, Topography: Level, Washr&/Or Dryer Hkup, Water: Well, Window Coverings.